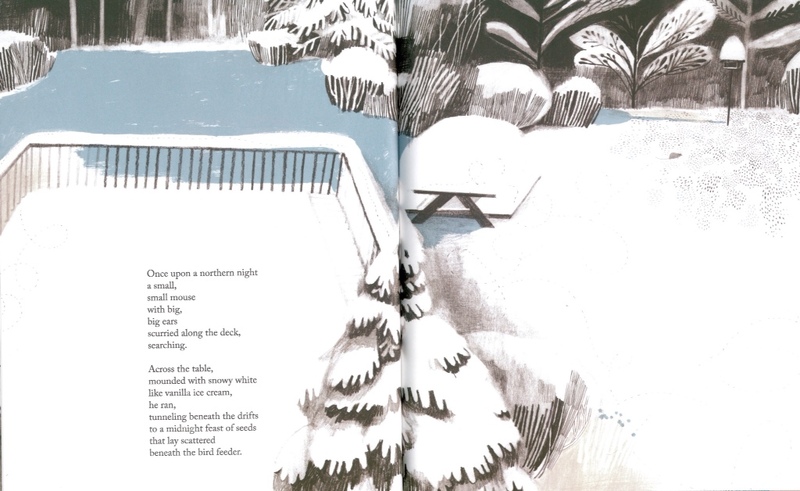 In Once Upon a Northern Night the French/ Canadian illustrator Isabelle Arsenault collaborates with writer Jean Pendziwol, who draws on her native Lake Superior and northern Ontario. 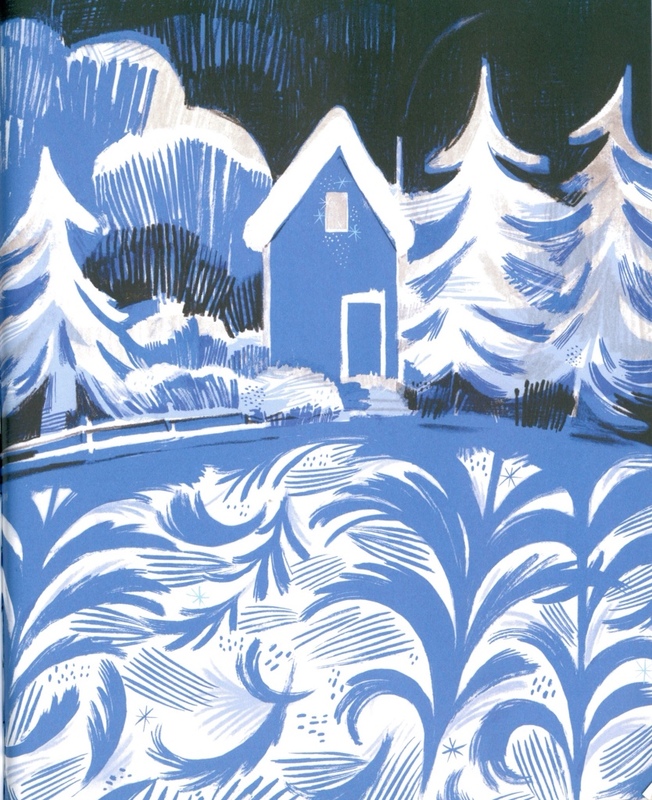 Arsenault’s style is painterly but with a strong graphic design element that helps create artwork that take your far beyond the world in which they are set. 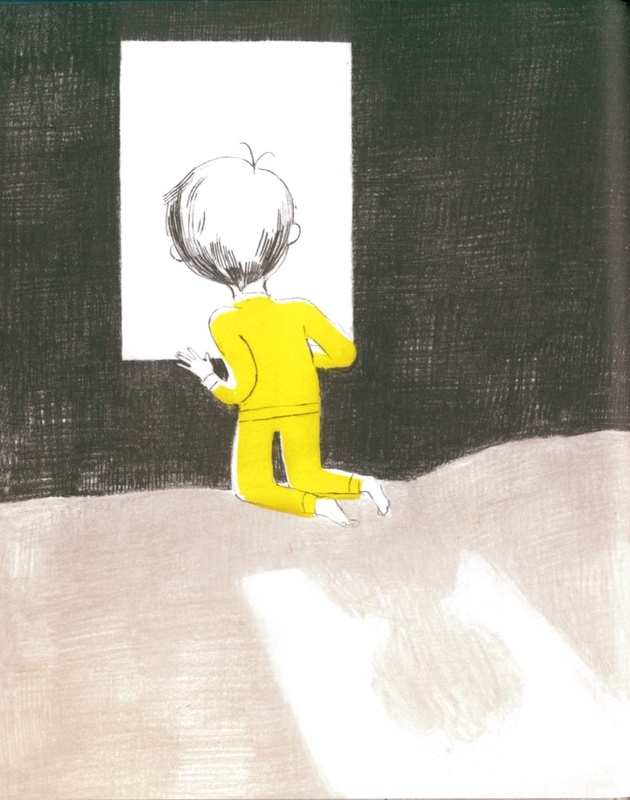 It’s a story to be read aloud at bedtime on a frosty night. 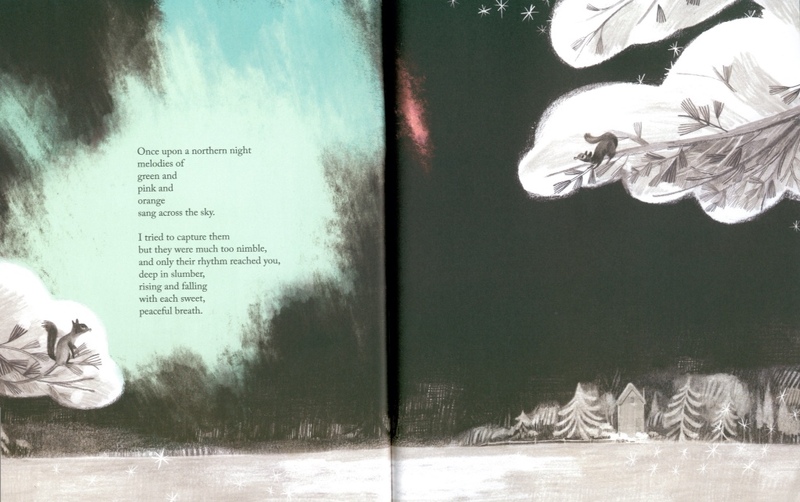 The text is deliberately old fashioned, the refrain of Once Upon a Northern Night providing a pleasing sing song feel. Although the sentiment is sometimes laid on a little thick, when it works, it really works; combining elegantly with Arsenault’s palette, of pastel shades of gouache, pencil, watercolour and ink. 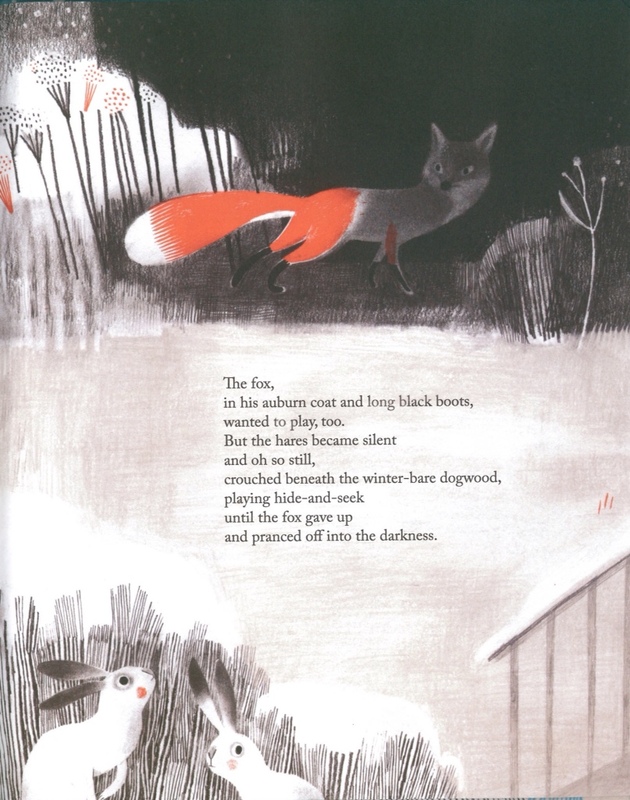 Arsenault revels in the natural setting (which provided the most impressive parts of Jane, the Fox and Me), transforming it with shades of Roger Duvoisin, Barnett Freedman and the early work of Maurice Sendak. Though crucially it doesn’t feel like its set in the past. 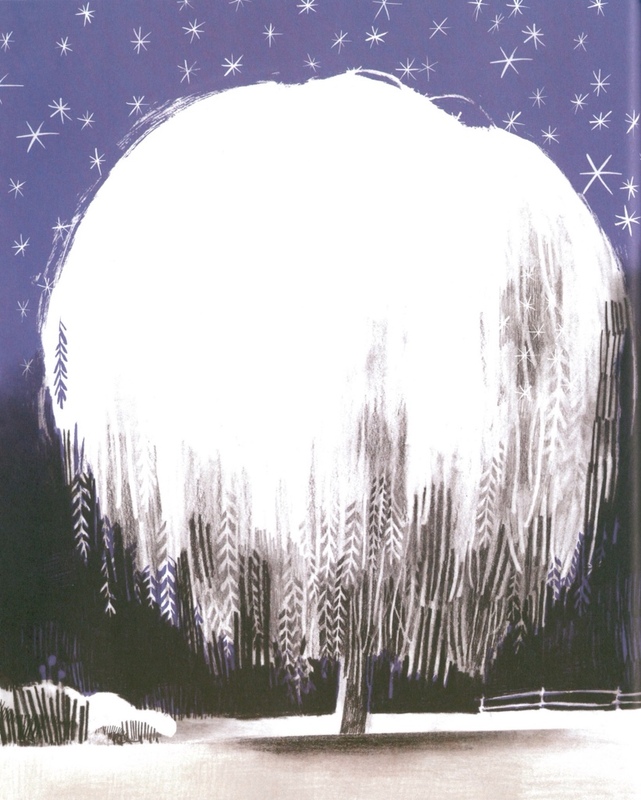 I’ll leave you with the book’s defining image, a picture of a weeping willow heavily laden with snow and starlight. 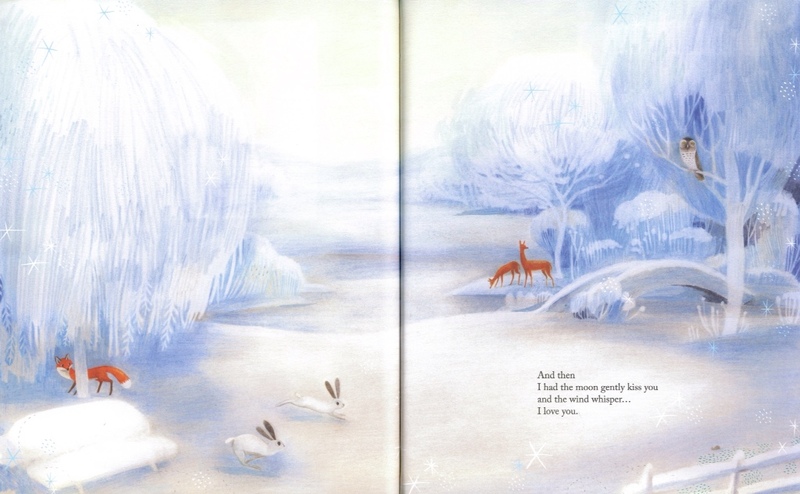 Tags: Isabelle Arsenault, Once Upon a Northern Night. Bookmark the permalink.